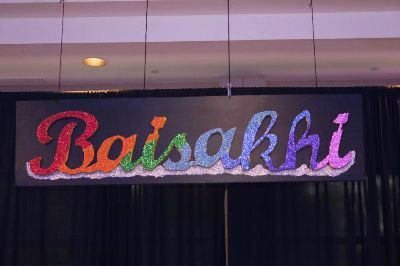 The Second Annual Baisakhi Function was celebrated with great enthusiasm by the Mid-South Punjabi Heritage Foundation (MSPHF) on April 21, 2012 at The Great Hall, Germantown, TN. 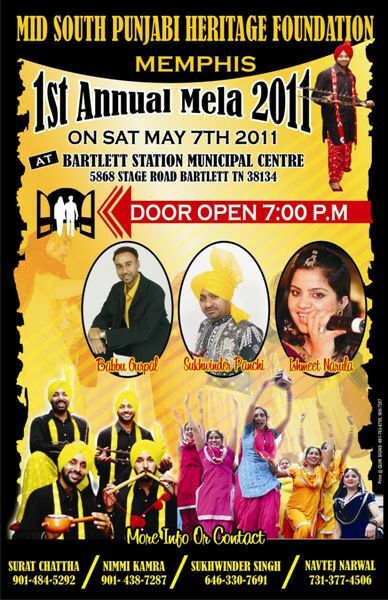 an event full of Fun, Frolic, Food, Music and Dance. Come one Come All and enjoy the memorable evening. 5868 Stage Road, Bartlett TN 38134. Monday, January 7, 2008 One by one, the worshipers at Gurdwara Sahib on Sunday approached the holy text, bowed and prayed. Later, a priest chanted and sang in Punjabi as more than 200 Sikhs celebrated the life of Gobind Singh, the last human guru. 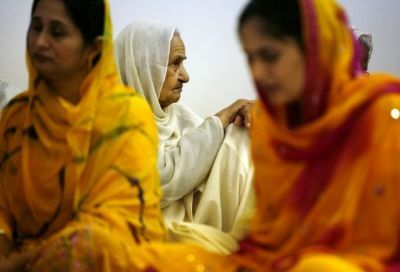 Gurbachan Kaur sits in the Mid-South Sikh gurdwara, or temple, during a celebration of the 10th and final human guru. "This is about the birthday and big life of our 10th guru," 7-year-old Anmol Marwah announced to the congregation. "It's a story that's grown on the pages of our history, changed our world and filled our hearts." And it's a story that many local Sikhs hope Mid-Southern neighbors will want to discover for themselves. Although it counts more than 20 million adherents and is considered the world's fifth-largest religion, the majority of followers live in India and believers say that Sikhism is often unknown in this part of the world. It is also a relatively young religion, having been established about 500 years ago. "We want to be good neighbors and be part of the multifaith community in Memphis," said Sonia Marwah, originally from Delhi. "We hope people will have questions and want to get to know more about us." Sikhs believe in a universal God and follow the teachings of 10 gurus. The group's holy text, or Shri Guru Granth Sahib, includes hymns and writings from the gurus and was compiled by Gobind Singh. The text is considered the 11th guru. The religion teaches the equality of men and women and does not recognize a caste system. Sunday's event attracted a larger-than-normal crowd to the facility, located at 8221 Macon in Cordova. The Mid-South Sikh Sabha purchased the property last August after years of meeting at various locations in Shelby County. "Our Gurdwara is the life center for Sikhs," said Surjit Kamra, past president of the group. "A place where everyone can come together and feel part of a family." After a morning of worship inside, members went outdoors and marched around the building while carrying flags, singing and playing instruments. A vegetarian luncheon followed, featuring traditional Indian cuisine. For Ravinder Singh, it was a chance to reconnect with his heritage. A Singapore native, he grew up in Sydney, Australia, but moved to Memphis more than a year ago and is grateful for the local Sikh community. "The older I become, the more I've started practicing my faith and I appreciate being able to have a place to come to pray and learn," said Singh, who helped serve food at the luncheon. "It's comforting to know that there are people who believe as I do and will support me on this journey." Since its formation nearly a decade ago, the congregation has grown to more than 150 families and includes members from West Tennessee, Arkansas and Mississippi. Outside Memphis, the nearest Sikh temples are in Nashville and Jackson, Miss.